Starting on June 20th, MapleStory promises to heat up with a new character in Ark, the Grand Athenaeum: Episode 5 and tons of system changes. Ark is an unlikely hero – branded a traitor, shrouded in darkness, betrayed by a friend. But he’s coming, and will be playable! 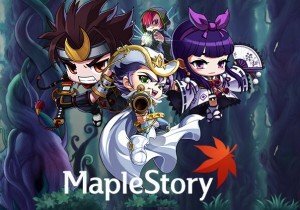 There are lots of events and bonuses planned between now and then, so stay tuned to MapleStory for this exciting addition to the game.